For those who visit Moscow for the first time, understanding the organization of its public transport may seem an important but challenging task. This article gives information on a variety of Moscow transport available and provides useful tips. Rapid transit system of Moscow that is most often referred to as simply the “Metro”. It includes the Metro (Moscow Underground), Monorail and the so-called “Light” Metro. Some also call it Moscow Underground (though some of its stations and lines are located above the ground). Moscow Taxi is also widely available in the city. Commuter trains (“electrichkas” or “elektrichkas”), departing from Moscow train stations, are rarely used within the city and, therefore, ommited in this review of Moscow transportation. The role played by the Moscow Underground (Moscow subway) in the life of an average muscovite can never be exaggerated. It is the most reliable and convenient mode of urban transport. In fact, it is ranked #1 in the world in terms of traffic intensity, reliability and traffic volume. Its popularity among locals and city guests is probably best described by its usage numbers. 7 million people use it on weekdays, and over 9 million – during weekends. Wholly owned by the Russian Government, the Moscow Underground ensures a high level of safety and reliability for its passengers. And you can see it yourself while exploring the Metro on your own or on one of Moscow private tours. Its marvellous ballroom stations are not to be missed. More efforts are being done to make it user-friendly for overseas guests as well. Some of the Moscow Metro central stations got signs and floor navigation in English. However – truth to be told – there is still a lot to be done to make it easy to use for non-Russian speaking people. The Metro Moscow opening hours are between 5:50 am and 1 am, 7 days a week (some stations open earlier). During the day, average waiting time for the next train is – record – 90 seconds. In late hours (after 10.30 pm) the average waiting time is 7-10 minutes. There are just under 200 Moscow metro stations and 12 lines – better to plan your trip upfront! Be aware of pickpockets during rush hours – it happens rarely indeed, still it is better to be on the look out. Easy and stress-free way to see the Metro is during one of our Moscow private tours – just let your guide know of the stations you wish to visit! The so-called Light Metro of Moscow is represented by light-blue Butovskaya line of the Moscow Underground. It connects remote Butovo district in the south of Moscow with Grey and Orange lines of the Metro. The Butovskaya line stations are open between 5:45 am and 1 am. Completed in 2004, Monorail transport system is part of Moscow Underground too. It runs 5 km above ground in the city’s north and comprises 6 stops. It links together VDNKh metro station of the Orange line (the area of All Russia Exhibition Center) and Timiryazevskaya metro station (Grey line). Moscow Monorail line provides service from 7 am to 11 pm daily. All of its stations can be easily accessible for people with limited mobility. 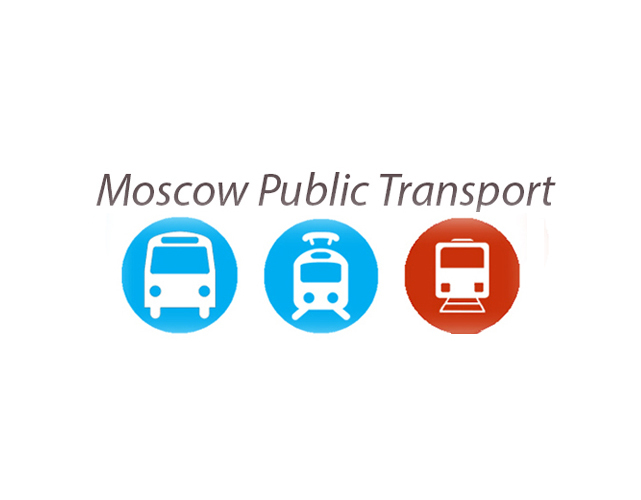 The organization of Moscow Trams, Buses and Trolleybuses takes time to understand. If you’re not yet a local or on a short trip to Moscow we recommend using the Metro. City shuttles (shared taxis, locally known as “marshrootkas”), run by private companies, follow the routes of regular Moscow buses/trolleybuses/trams. They are usually of yellow or white color, their size is significantly smaller than that of a regular bus – that's is how you can recognise them. Marshrootkas normally stop on demand. If you need to get off a Moscow marshrootka let the driver know of that in advance. It is also possible to “request a stop” along the route, and get off at the places other than regular public transport stops. Marshrootkas stop on demand, and thus may skip many stops. If you’re short on time – it is the best to take! On one of our Moscow private tours our guide will be able to lead you through the must-see sights of the city easily and trouble-free, so you could concentrate on his speech and not on how to get here and there.